Spousal support – which may also be referred to as alimony or spousal maintenance – can be a highly contentious aspect of many divorce cases. From requesting this support to determining the amount and duration of these payments, spousal support can engender a lot of touchy issues that may bring even the most straightforward divorce cases into dispute. All of the info discussed in this blog series has been purposely presented to be general in nature. You can get specific information related to your situation by contacting a Littleton divorce attorney at Bahr and Kreidle today. Fact 1 – The court will usually approve any agreements that divorcing couples can work out on their own. When couples can’t work out agreements regarding spousal support in Colorado divorce, the court will resolve the disputed issues. Contact us for superior representation in your divorce. In any divorce case, it’s always ideal for separating couples to be able to come to a mutual agreement about the issues of the divorce, including any issues regarding whether spousal support should be paid and, if so, how much and for how long these payments should last. 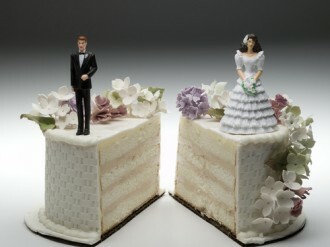 As long as these agreements appear to be fair, the court will usually uphold them and only focus on the disputed issues of the divorce. Each parties’ best interests are protected with the proposed agreement. Any unforeseen issues are resolved or dealt with as part of the agreement. Fact 2 – The court uses a very specific formula to determine eligibility for spousal support in Colorado divorce. When couples cannot come to an agreement regarding spousal support in Colorado divorce and the courts are left to resolve this issue, a very specific formula will be used to first evaluate whether a request for alimony is valid (in other words, whether the party making the request for spousal maintenance is, in fact, eligible for these payments). Whether either party in the couple already is paying spousal support (due to a previous marriage) and/or will be paying child support (as part of the current divorce case). When determining eligibility for long-term spousal support in Colorado divorce, the court will also assess whether one party in the divorce has (or lacks) adequate means to support him or herself now and in the future. We will resume our discussion regarding the facts about spousal support in Colorado divorce in a few additional parts of this blog series that will be posted soon – make sure you look for them! Will spousal support be an issue in your impending divorce? If so, you can rely on the trusted Littleton divorce lawyers at Barh & Kreidle. Set up a free, no obligations initial consultation with us today. To set up a meeting, call us at (303) 794-7422, or email us using the form on this page.